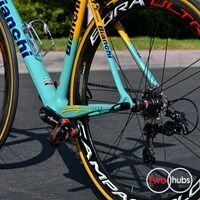 In the Summer of 1998, Marco Pantani and Bianchi put in some of the most epic stage race performances of all time to take outstanding wins at both the Giro d’Italia and the Tour de France. It’s a feat that only seven riders have ever achieved and that confirmed Il Pirata’s place in cycling history and Italian culture. 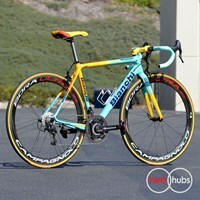 To honour the 20th anniversary of Pantani’s spectacular Giro-Tour double, Bianchi has created a 2018 very special commemorative edition of the world-renowned Specialissima ultralight frame and fork. 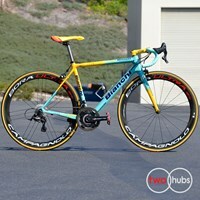 The historic edition of the Bianchi Specialissima is exquisitely finished in exactly the same livery as the 1998 Bianchi MegaPro XL ridden by Il Pirata on his incredible double achievement. 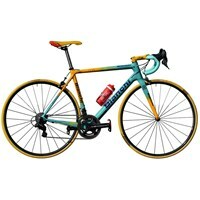 The frame and fork are meticulously hand painted in Italy by dedicated artisans. 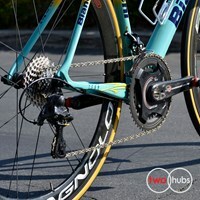 Even the famous Bianchi eagle head badge on the Specialissima’s head tube is a faithful recreation of the one that adorned Pantani’s double Grand Tour winning bike. 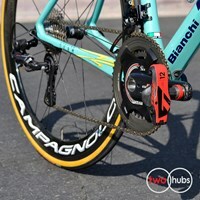 The Bianchi Specialissima is a pinnacle of modern racing performance with its 780gr ultralight frame engineered with Countervail vibration cancelling technology. 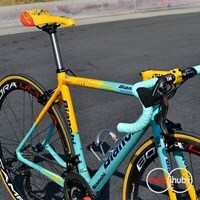 It is the ideal bike for climbers and mountain lovers: a bike worthy to pay tribute to Pantani’s extraordinary feat and lasting legacy. 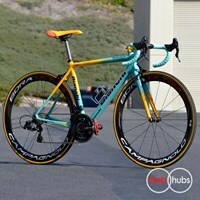 Just like the Bianchi MegaPro XL ridden by Pantani when he was part of the magic Team MercatoneUno-Bianchi that famous year, the Specialissima features ultralight frame and fork system. The 1998 MegaPro XL was custom built with super light aluminum tubes and was at the forefront of frame construction in its day. 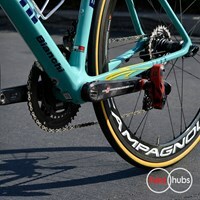 Similarly, the Specialissima uses the most advanced carbon frame engineering available today: the patented Countervail® technology that cancels 80% of the road vibrations thanks to its special fiber architecture and viscoelastic resin. 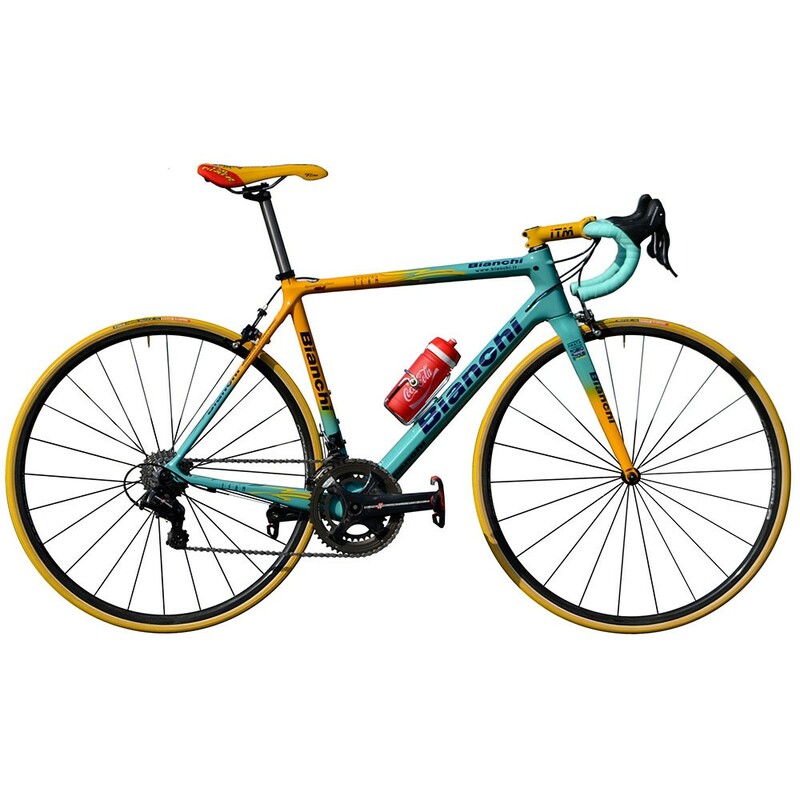 Specialissima provides pure power and control thanks to Bianchi’s Countervail® ultralight carbon formula specifically tuned to smooth out the inherent nervousness of ultralight frames. The new Specialissima Pantani - 20th Anniversary is a personalised piece of history that meet today’s ultimate carbon technology.